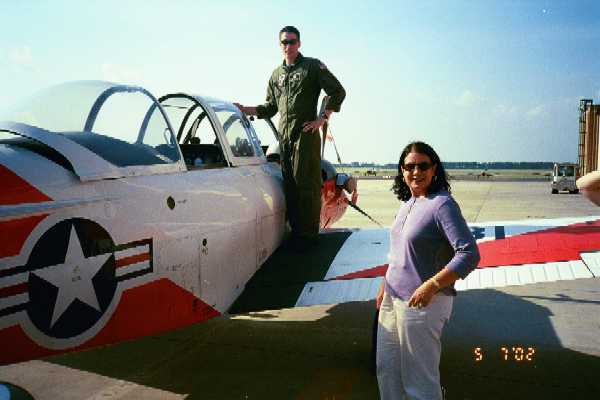 T34 Trainer with son Kevin and his wife Jan. Right front view. 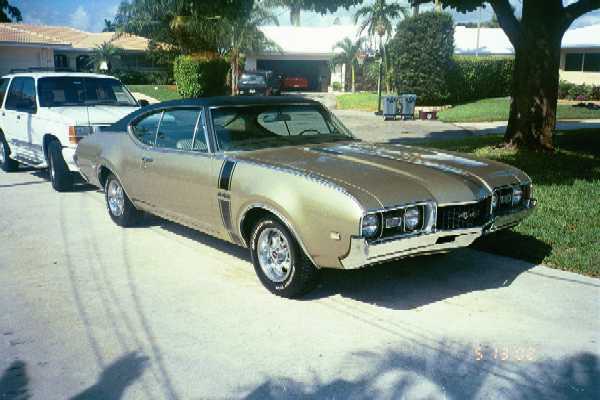 1968 4-4-2 still had vent windows even in the "Holiday Coupe" model which was techhnically a hardtop. 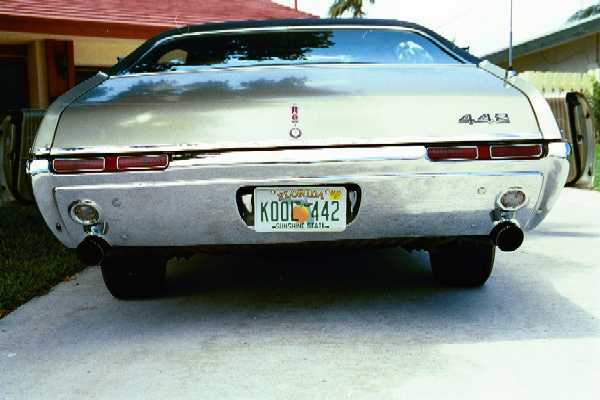 Rear view shows the 4-4-2 specific cutout bumper for the stock dual exhaust and chrome trumpets. 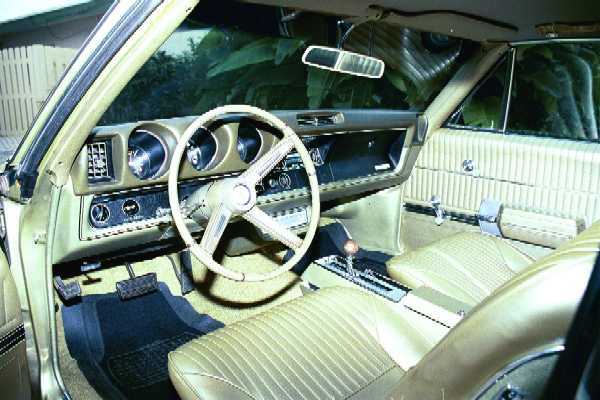 Nice interior with bucket seats and center console which controls the TH400. 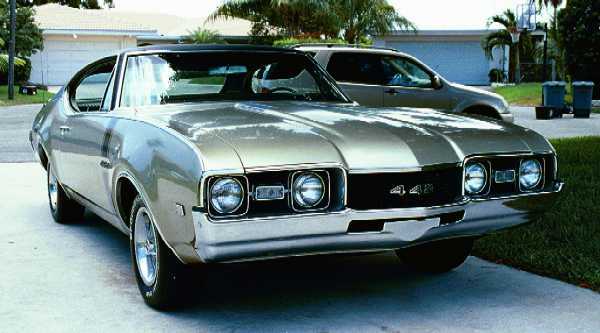 The 400 cubic inch Oldsmobile motor produces 325 HP. 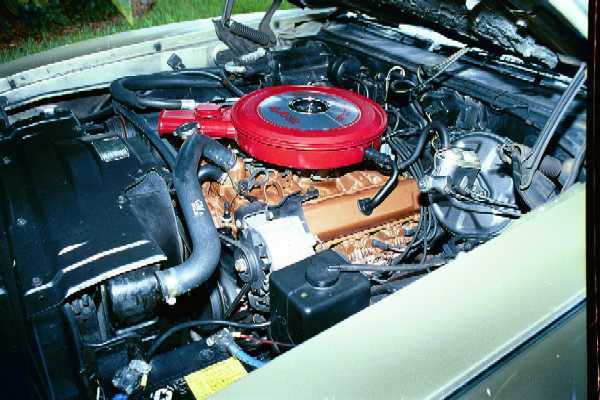 A Quadrajet 4 barrel carburetor. hydraulic cam, and dual exhaust and among the standard features. Sharp eyes can spot power steering, power brakes and air conditioning.